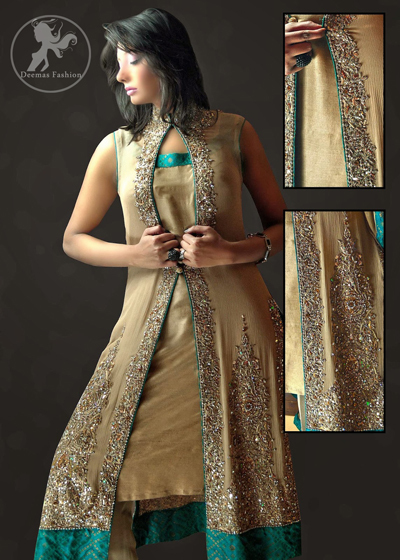 Tags: Fawn, Front Open, Gown, Pure Silk, Straight Trouser. 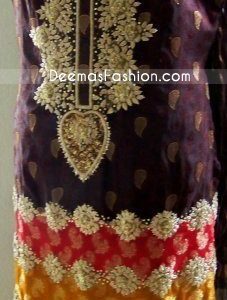 Fawn chiffon front open Embroidered Gown with raw silk inner shirt with straight trouser. Sea green banarsi finishing.